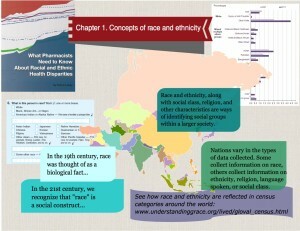 An infographic introducing the main concepts of race and ethnicity in Chapter 1 of the text, What Pharmacists Need to Know About Racial and Ethnic Health Disparities. 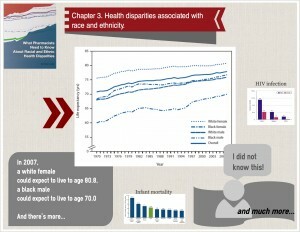 Before we start thinking about racial and ethnic health disparities, let’s learn a little about the concepts of race and ethnicity, ethnocentrism and racism. Many times we use these words loosely, but they have specific meanings, and sometimes a long history of changing meanings. 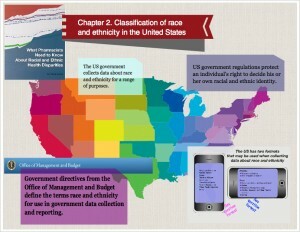 In the 19th century, race was thought of as a biological feature, but in the 21st century we understand that racial labels represent social constructs.